1 1/2" TO 2" L-CLEAT NAILS . 70 to 100PSI AIR PRESSURE. 3/8" AIR INLET FOR RAPID CYCLING. PRECISE DRIVES AT 45 DEGREE ANGLE EVERYTIME! 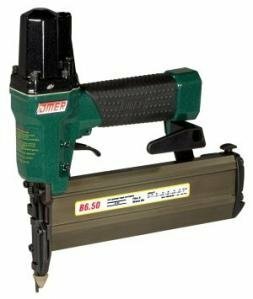 GREAT FOR ANY HARDWOOD FLOOR PROJECT! HECK-O-NICE TOOL FOR THE MONEY! 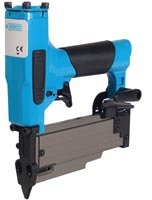 WE SERVICE THIS AND ALL OTHER NAIL AND STAPLE GUNS. O`RING KITS AVAILABLE! FOR USE WITH PORTABLE COMPRESSOR.